Bismarck, Mo – Rachel Steinhoff’s game high 18 points and Kayla Oetterer’s 12 led the Lady Rocks to a District Championship, toping Bismarck 55-40. The Rocks went into last night’s coming off a 27 point thumping over Viburnum. Pictured above are your 2012 District Champions. Monzyk opens the game for New Haven draining a three. Elise McDonald pictured above knocks down two of her 14 points. New Haven, Mo – New Haven drained five 3s to match their season high and sophomore Rachel Steinhoff and senior Elise McDonald scored a combined 29 points to lead the Lady Shamrocks past Linn 59-34. Pictured is Kierstin Monzyk in Tues. game against St. James. The Lady Rocks probably played one of their best games against Hermann on Jan. 8 nearly ending Hermann’s 20 game winning streak, losing by three. 48-45. Thursday and Friday night were hopping at New Haven High School. Homecoming week is always a big deal to the students, basketball players, and fans. New Haven's JV girls came up short against Union 42-25 in this afternoon's championship game at Pacific. Stock photo: Rachel Steinhoff hits Emily Kallmeyer during last week's tournament against Wright City. Hermann, Mo. – The Lady Shamrocks walked away with the win, holding off the Lady Warriors in this evening's consolation game 41-35. Rachel Steinhoff had a team high 16 points with Emily Kallmeyer and Kayla Oetterer both scoring eight points, improving to 9-8 on the year. Rachel Steinhoff knocks down a look jumper for two of her 13 points. Hermann, Mo. 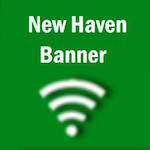 – New Haven came into Wednesday night’s after falling below 500 (7-8) for the first time this season after Monday's lose to St. Clair, who they had beaten the week before. Stephanie Gerling shot lights out last night helping New Haven to advance to Friday's consolation game. Hermann, Mo. - The Lady Rocks knocked off #8Wright City to advance to Friday's Consolation game. Game time is set for 4:30 p.m.
Game Final in OT - St. Clair survives the first round knocking of New Haven in overtime 47-39. End of Regulation: Four quarters has not been enough to decide this game. Both teams are all tied at 35 points. As soon as we get a final score you will know. Final - New Haven loses 53-48. The Rocks were not able to recover after losing their four point in the third quarter. 3rd Quarter - Silex leads 41-38. Halftime - Rocks extend their lead 28-32 to end the first half of play.